Research Fellow and Professor for Communication and Media Studies at the Dresden University of Technology (2009-2014) and Assistant Professor at Institute for Communication Studies, Free University of Berlin (2004 –2009). She earned her PhD at the University of Erfurt, Germany with an international analysis of the role of emotions in community building media. She received a Doctoral Research Scholarship for the University of California Berkeley and was awarded a scholarship for excellent female researchers (HWP) at the University of Erfurt. Prior to her PhD, she worked as manager and coordinator of an international exchange program, in charge of marketing, she taught classes on intercultural communication (among others), worked as Research Assistant at the Institute for Communication Studies at the Heinrich-Heine-University, Düsseldorf, as Research Assistant at the Institute for Communication Studies, Dpt. of Media Psychology and Media Sociology at the University of Erfurt and was Chairwoman of the International Cooperation Program between the Hongkong Baptist University and the Heinrich-Heine-University for the Institute for International Communication, Heinrich-Heine-University, Düsseldorf, Germany. She equally holds the Diplôme d’Etudes des Affaires Internationales et Marketing which she earned in Strasbourg. Her research interests include mediatization processes, especially online, emotions in communication studies, media psychology and media sociology, visual communication, intercultural communication, Internet use and community belonging. She is active in mentoring for young scholars (she was elected as mentoring chairperson at the University of Leipzig) and engaged against the discrimination of women. 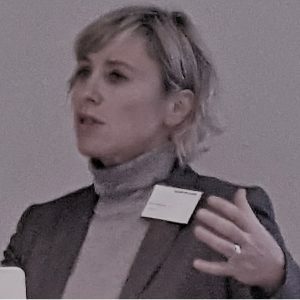 She currently works on the second edition of her international Routledge Handbook of Emotions and Media, which she initiated and is first editor of, together with Christian von Scheve and Elly Konijn. For her journalistic articles (that she wrote as author), interviews she gave as expert in communications and media and other current practical as well as research activities, see “Activities and News”.